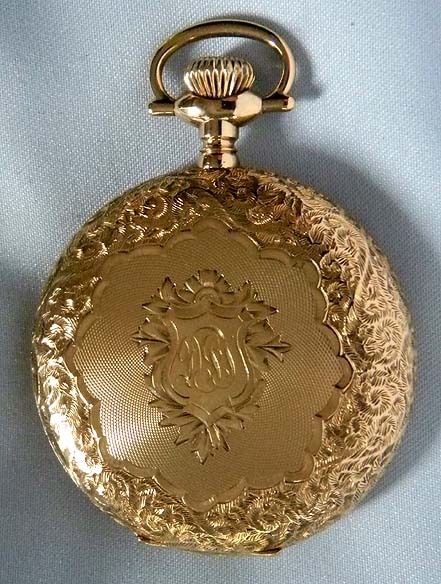 Fine and extremely rare 14K gold Illinois 25 jewel 16/S Benjamin Franklin antique pocket watch circa 1909. 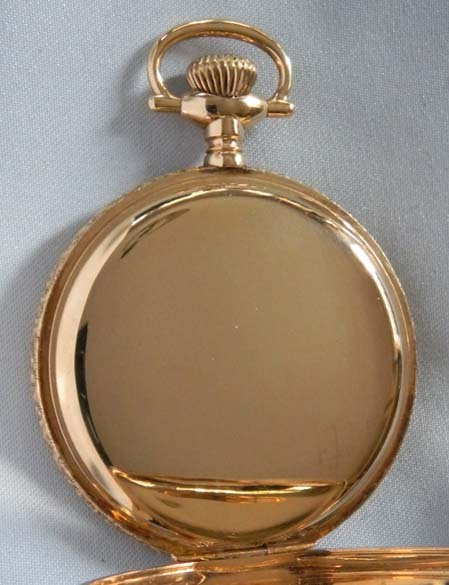 Beautiful case with the engraving still sharp to the touch. 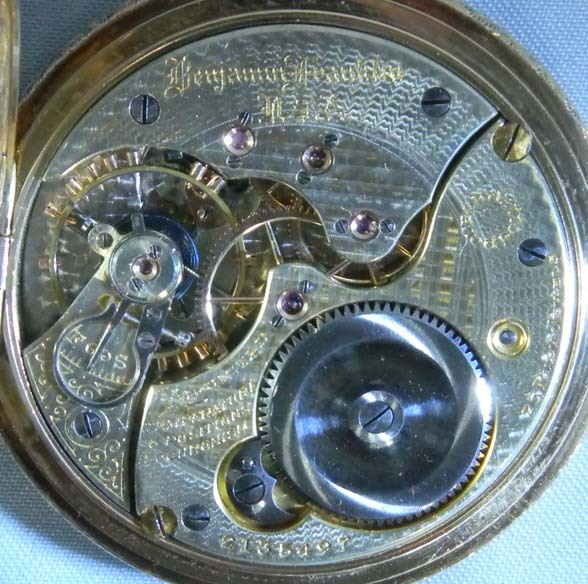 Beautifully decorated movement with screwed jewels and precision regulator. 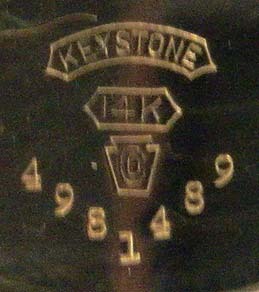 Fine bold enamel dial (faint hairline in the outer ring between 2 and 3) with red and black markings and blued steel hands. 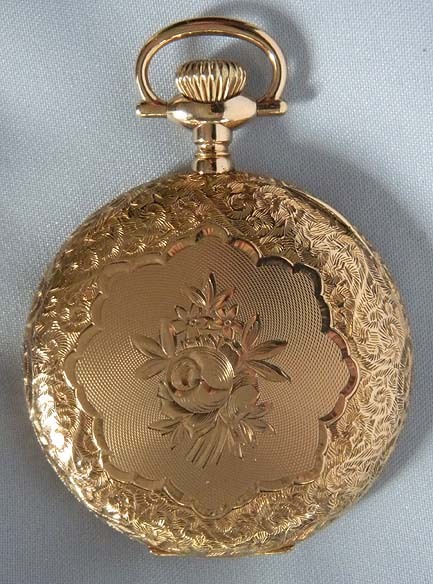 Superb example. 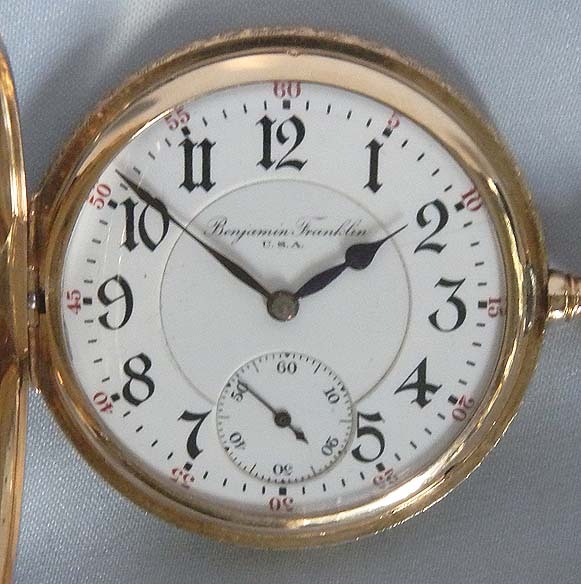 According to our best information only 35 of the 25 jewel Benjamin Franklin watches were produced.